Mission Objective: I asked Marie if she needed a hand with the Deputy Mayor Election in Farmville 2 Election Helper Quests. She asked me to lead the team of Election Helpers who will be organizing the event. 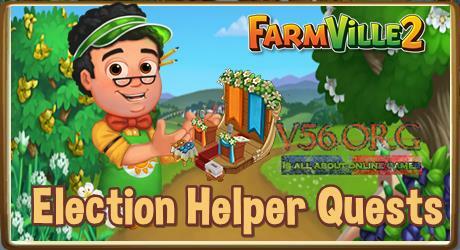 You will find the details of the Farmville 2 Quests here and it will help you in completing this mission. The Election Helper Quest is available from August 21 to September 4. Quest 1: Voter Voter Everywhere! Quest 3: Bun There, Done That! Quest 5: A Dyer Necessity! Quest 8: Bread To The Rescue!